Microsoft has added a bunch of new features to its Office 365 cloud service for business, with an eye on the small to midsized business market. Two of the three offerings that Microsoft is highlighting for Office 365 are aimed at SMBs. Office 365 Midsize Business is designed for firms with 10-250 employees, and includes Office 365 ProPlus along with Exchange, Lync and SharePoint. It also has Active Directory integrated, along with a web based administration portal. Office 365 Small Business Premium, for firms with up to 10 employees, has the complete set of Office applications, including email, shared calendars, website tools and HD videoconferencing. Microsoft is also shining the spotlight on Office 365 ProPlus, which includes Word, Excel, PowerPoint, OneNote, Outlook, Publisher, InfoPath and Access delivered as a service on up to five devices. It is offered standalone or comes as part of the deal for the Enterprise and Midsize Business Offerings. 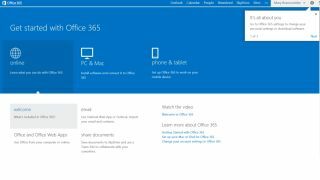 The company says that Office 365, which provides services based on Office 2013 software, is one of its fastest growing businesses, with one in five of its enterprise customers having taken up the service in the 18 months since its launch.